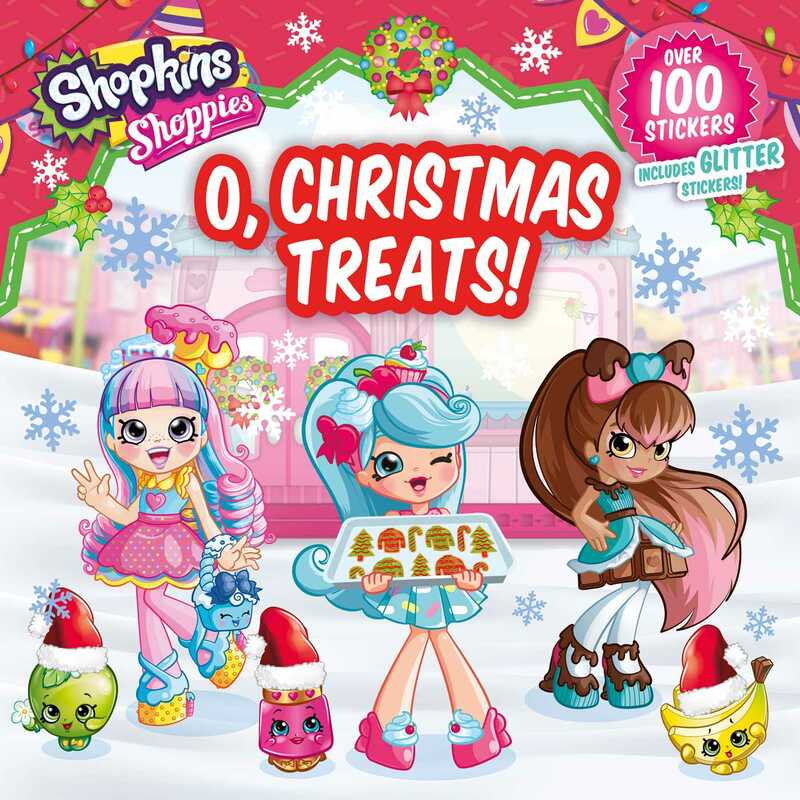 Spend Christmas in Shopville alongside Jessicake and her Shoppies and Shopkins friends in this special Christmas storybook featuring glitter stickers and a sparkly cover! Jessicake and her friends throw a baking party at the Cupcake Cafe to help Jessicake make the special Christmas cookies she leaves out for Santa every year. But when jolly singing and laughing distract the friends, they accidentally ruin the cookies. Can the besties convince Jessicake to make something new for Santa? Celebrate the holidays Shoppies-style and discover what can happen when traditions get shaken up! Over 100 exclusive glitter stickers plus glitter on the cover add to the fun! Book Cover Image (jpg): Shoppies O, Christmas Treats!